“Catfish” and “I’m Still Here” – where reality and fiction blurr | Phil-zine! Both Catfish and I’m Still Here deal with reality; the false reality created by the world of technology and media, and they utilize their mediums skillfully to keep the audience a little uncertain as to how real the events unfolding actually are. I knew very little about what these films actually were when going in to see them. I had not read that the filmmakers of I’m Still Here came out that it was a hoax until after seeing it. 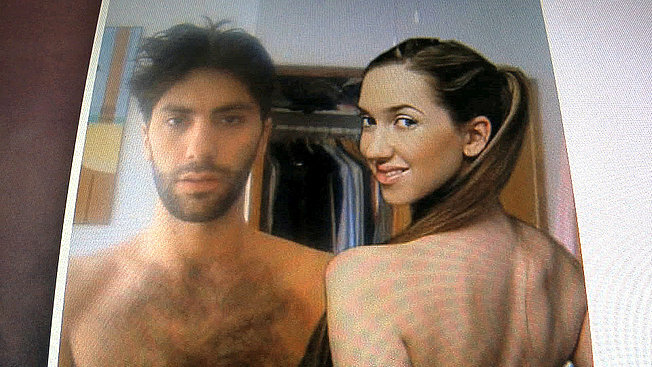 I still don’t know how real or not Catfish is; my guess is its truly a documentary. It doesn’t matter to me in either instance. Catfish is nothing at all like I thought it would be. I think it might actually be a real documentary. (I have refrained from reading anything about it before writing this!) It was like sitting down to watch a lion catch and devour an antelope and instead I saw this intensely bright flower bloom and die before my eyes. It was about the frailty of human connection and the loss of dreams. A photographer named Nev befriends a young girl who is a prodigy artist and her family, only to find out that they aren’t quite what they say they are. Using facebook as a conduit to explore these themes, it was frightening, yes, but it was also bittersweet, sad, creepy, hilarious, raw, emotional, powerful. It was something that I thought was going to be in no way real, and it turned out to be the most real thing I’ve seen on celluloid in a long time. I’m Still Here is another beast unto itself; purportedly trailing the fall from grace of Joaquin Pheonix. This is like watching that same lion devour too many antelope, then it’s stomach explodes from overeating. It’s ugly, pathetic, awkward, funny, entertaining, boring, thrilling, heartbreaking, brilliant, pretentious, a piece of art and a pile of crap. Unlike Catfish, in which we see a story about a relationship unfold online, this was a story we actually got to see unfold on-line and on television. Part of the experience of this movie was to see it exist as it was being made. Watching a star become eviscerated before our eyes isn’t a new thing, and that may be what hurts it a little. Britney Spears, Mel Gibson, Kramer; this is hardly new territory, and territory most people have made their minds up about. I don’t think I’m Still Here, is going to change any minds about celebrity. It doesn’t have to. While the media frenzy, David Letterman appearances and youtube captures were happening, I knew it was a hoax. I understand the need, as someone that delves in theatre, acting, film and performance art to push the limits of what’s being done. Though as I watched the film, I realized it wasn’t a hoax, but an exploration, an experiment. 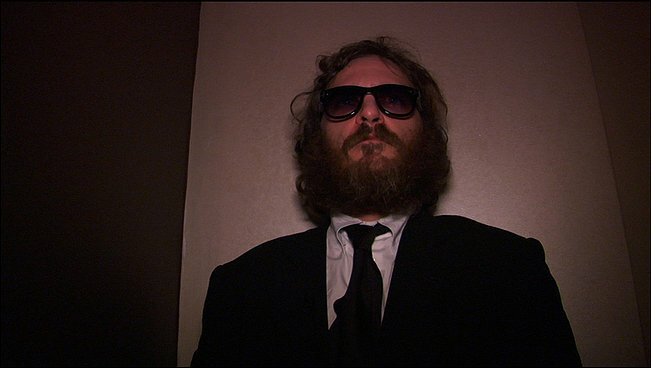 An exploration of not only what can be done with a film (Joaquin voices his frustration with being a “puppet” to other people’s visions as an actor), but also the frailty of a passionate human under the spotlight as they try to recreate themselves to be seen how they want to be seen. You can see the minds of Casey Affleck (the Director) and a committed and marvelous Phoenix weaving their web. There’s a shot near the end just before Phoenix is about to go on stage, and the camera stays on his gut. Even this shot, the presence of Pheonix as an actor cannot be denied. Does it ever reach the level of honesty as Catfish? No. Are there moments of purity achieved? Yes, thanks to Phoenix’s flawless performance. However, there are times you can see through the ruse and during those times the humor and the empathy are lost, and maybe it doesn’t care about the empathy so much as the loss of reason. Maybe its that you don’t care as much about someone who has it all and chooses to throw it away, as you do someone who has nothing and is trying anyway they can to live vicariously. I suppose, in the end it’s unfair to compare these two bold and refreshing films (whether you like them or not). Both after all are pieces of art in their own way. Catfish allows you to connect through simple human emotion. I’m Still Here depends more on the viewer’s willingness to connect and less on the film attempting to connect. Both are pieces of art in their own way. Both films exist as what they are, and their creators and the people within the films aren’t afraid to show the best and worst of who they are, be it real or false. Sometimes its best not to know. Yes, Catfish, is a true documentary. I’m Still Here is not. Both aren’t fairing well at the box office or with the general public, which is unfortunate. Both veer towards exploitation. Both cover the idea of what we perceive to be reality in different ways. This entry was posted on September 30, 2010 at 5:55 pm and is filed under Current Movies and Reviews. You can follow any responses to this entry through the RSS 2.0 feed. You can leave a response, or trackback from your own site. ready to cover your vacation away from home? most important considerations is probably the budget. concerns and/or will not talk just about any Spanish. training activities and also seminars.